East Africa, 1913. 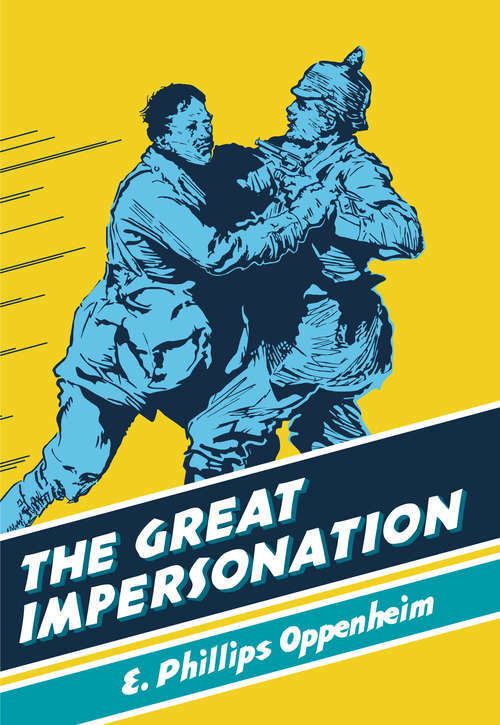 The disgraced English aristocrat Everard Dominey stumbles out of the bush, and comes face to face with his lookalike – the German Baron von Ragastein. Months later, Dominey returns to London and resumes his glittering social life. But is it really Dominey who has come back– or a German secret agent seeking to infiltrate English high society? As international tension mounts and the great powers of Europe move closer to war, Dominey finds himself entangled in a story of suspicion and intrigue. He must try to evade his insane and murderous wife as well as escape the attentions of the passionate Princess Eiderstrom – and will eventually uncover the secret of the ghost that haunts his ancestral home. This classic thriller was hugely popular when it was first published in 1920, selling over one million copies in that year alone, and was filmed three times. It was selected by the Guardian as one of 1000 novels everyone must read.